The 128GB Samsung Galaxy Note7 is launching in China next Friday. This version was officially confirmed earlier and is designed to fight phones from local Chinese firms. They often offer the extra storage and quite a few of them come with 6GB of RAM. As does this version of the Note7, making it competitive in both kinds of memory. Will it be competitive in price, though? We can’t say since we don’t know it yet. We do know that it’s powered by Snapdragon 820 chipset (not Exynos) and it is the dual-SIM version. It’s a hybrid slot, but with 128GB built-in, we doubt many will need a microSD. 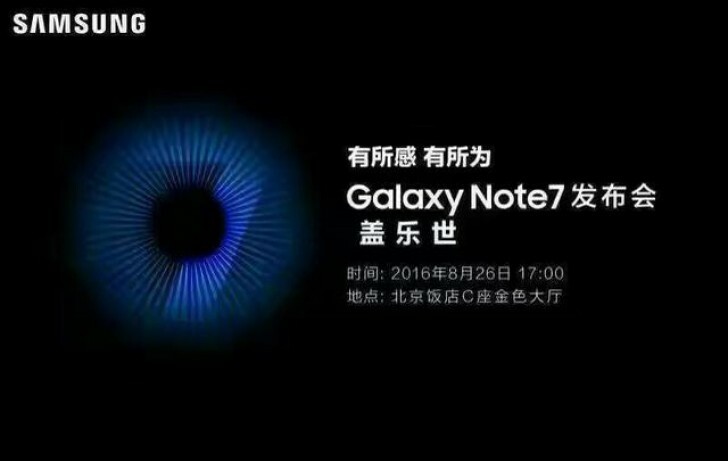 The Samsung Galaxy Note7 6GB/128GB is launching in China on the 26th, 17:00 local time. Whether it ever sells internationally is another matter – Samsung has tried 128GB versions in the West, but didn’t see much interest.